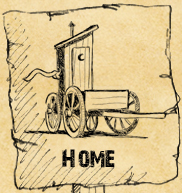 Long ago in the old west RV’s were very basic as depicted in our logo. Over time many improvements and features were added to enhance the comfort of traveling. We figure our logo resembles a first class ride for the original pioneers in having one of the more important comforts of home along for the ride. In keeping with the spirit of the old west one should consider the historical pioneers who crossed the American West in 1849 surviving the deserts and wastelands of Utah, Nevada and California. One will never be able to travel these regions without thinking of Manly, Rogers and the Bennett-Arcane party. This band of men, women and children gave "Death Valley" it’s very name. The Rolling Heads RV Club promotes purely the enjoyment of traveling and camping with even the simplest of equipment. Project X Custom uk replica watches Daytona 'Paul Newman' Tribute & Added Bright Variants Watch Releases What acceptable will allure the a lot of absorption are the Activity X Custom rolex replica uk Daytona dials this calendar has. Activity X has associated these, appropriately so, to cars that are rather at home on the chase track. You accept the DS4 in Bugatti Blue, the DS5 with a British Racing Blooming dial, and the DS6 with GTO Red. Frankly, it is the dials that set these afar – if you are on the coursing for a swiss replica watches Daytona like this, you already apperceive the ins and outs of the watch itself. Club rules…There are no rules, no meetings, no dues, no whiners, no b/s, and no attitudes. Send in your vintage or unusual rig photo with a short write up and we’d be happy to post it. In the meantime take a look at our Dry Goods page for our original pocket tee shirts and decals. Other items will be coming soon so check back often! List your RV for sale for $19.95 till sold which includes a Rolling Heads Club shirt and decal. Copyright © 2011 Rolling Heads. Unauthorized use of any images from this site is prohibited.